Hiring an employee is one of the complex parts of e-commerce. There are so many people to choose from. In the modern era there are more people that go to college than before. College debts are rising at a skyrocketing rate. This means that you will have many competent people looking for a spot in your company. The rule that says don’t judge a book by its cover doesn’t work in this scenario. This is due to the fact that many people who would be looking to get hired in your company will present themselves as best as they could. This has actually proven to be helpful when someone is hoping to get employed. However there are a few things you need to consider when employing someone in your company. The first thing to consider is their academic qualifications. All companies actually consider your academic qualifications before hiring you. Apart from academic qualifications there are other things to consider. First is previous employment. Companies prefer hiring employees who have some kind of previous employment than those that don’t. People with previous experience tend to understand the job better than people without any prior employment knowledge. People who actually come straight out of college are less experienced than people who have one or two previous jobs. 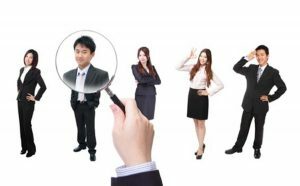 Hiring an employee is quite difficult especially when you come to consider the many candidates. Before you hire an employee you need to choose a shortlist of candidates that might make the top. Having dinner or lunch with the employees will let you know how they actually work or their business ethics. They cannot hide their true nature or character when they are in a lunch setting.